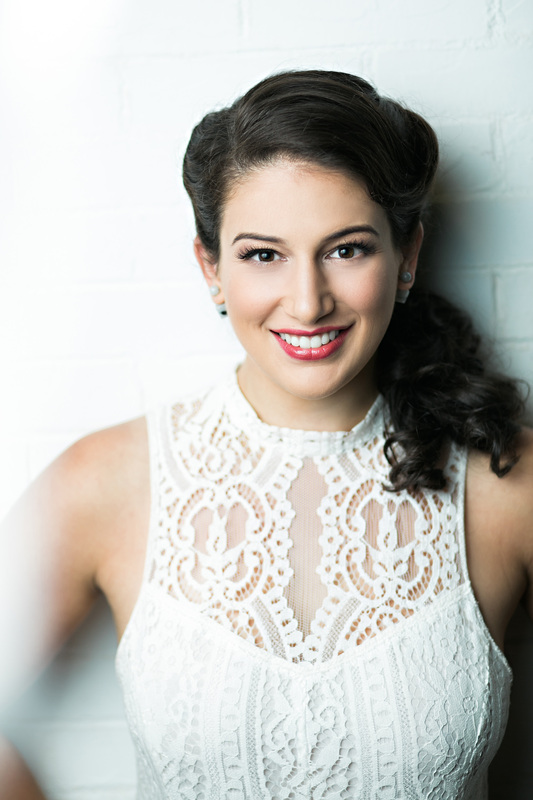 American mezzo-soprano Allegra De Vita, a 2015 Metropolitan Opera National Council Audition Grand Finalist, is in her second season as a young artist with Washington National Opera’s Domingo-Cafritz Young Artist Program. In the 2017⁄18 season at WNO, Ms. De Vita will perform Rosina in Il Barbiere di Siviglia, Tebaldo in Don Carlo, The Fox in The Little Prince and Zegner Sister 2 in the American Opera Initiative premiere Proving Up. Elsewhere, she will perform Arsamenes in Xerxes, conducted by Nicole Paiement, for a return to Glimmerglass Festival, and Tancredi in Erminio with Opera Lafayette, with performances in both New York and Washington, DC. Concert highlights include the Mozart Requiem with The Choral Arts Society of Washington. In the 2016⁄17 season, Ms. De Vita performed Isaura in Tancredi with Opera Philadelphia, opposite Stephanie Blythe, Pippo in La Gazza Ladra with the Glimmerglass Festival, Olga in Eugene Onegin with Syracuse Opera, and at Washington National Opera, Cherubino in Le Nozze di Figaro, Kate Pinkerton in Madama Butterfly and the title role in The Dictator’s Wife, a world-premiere piece by Mohammed Fairouz.